B-Tek 4-Square NTEP Floor Scale System 5000 lb.If you're in the market for a floor scale that's built in America then you've found a good one with the 4-Square from B-Tek. 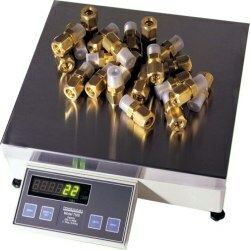 Many of our customers specifically ask for this scale on every order. Excellent 4x4 5K package combining the rugged, low profile floor scale with the easy to use T103P Digital Weight Indicator. NTEP Approved. 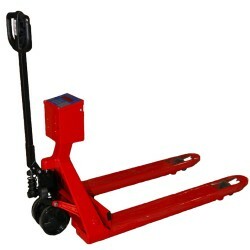 Price includes freight in cont'l US to business addresses only (Zoned Commercial) with a loading dock or forklift. 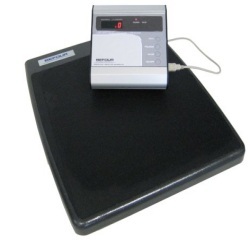 Befour PS-6600 ST Portable Scale 500 x 0.1 lbsWith it’s remote indicator the PS-6600 ST portable scale is perfect for on the go weighing. The nation’s top-selling sports scale for the past decade. 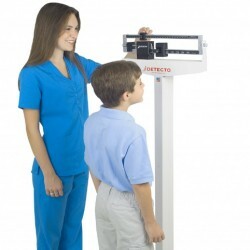 The "Take-A-Weigh" is renowned in youth sports that require precise weight measurements on the go. Also great for home use, athletic training, and weight management. Platform: 16" x 18" and Capacity of 500 x 0.1 lbs. 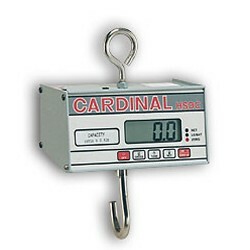 Cardinal Detecto HSDC-200 Battery Operated Hanging ScaleHSDC-200 is a full-featured, battery-powered hanging scale from Cardinal that incorporates push button tare, a sleep mode, and an auto shutoff mode to prolong battery life. Whether an industrial application, a curbside, site collection operation for recycling, or a supermarket, the HSDC series hanging scale is the true example of accurate portable weighing. Battery Operated only (batteries not included) NTEP approved, Prices include ground shipping cont'l US. Intercomp CW250 Portable 2000 lb. 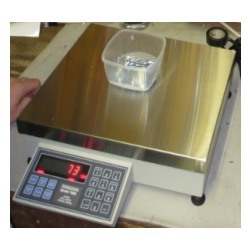 Floor Scale 15"x15"Intercomp CW250 portable 2000 lb. 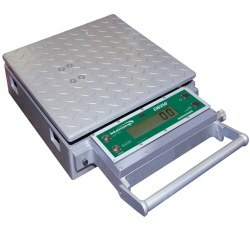 floor scale with 15"x15" platform is ideal for weighing tanks, drums, boxes, cylinders, and miscellaneous items. Scale is battery operated (charger adapter and cable provided) This rugged self-contained unit is NTEP Class III approved. (95-024) Normal lead time for this item is 2 weeks before shipment. 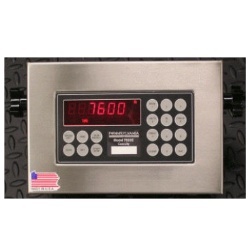 Pennsylvania 7500-200 Heavy Duty Counting ScalePennsylvania 7500-200 counting scale with super large 200 pound max capacity features simple 4 button keypad ideal for quick training for your workforce performing annual inventory. This is great for counting larger items. Pennsylvania 7600+ Digital Weight IndicatorPennsylvania 7600+ is an affordable choice in material handling and shipping and receiving applications, the Pennsylvania 7600+ digital weight readout is practical indicator for floor and bench scales. Stainless Steel enclosure. Counting function. Full keypad. NTEP Approved. Pennsylvania 7600-200 Industrial Counting ScalePennsylvania 7600-200 digital parts counting scale features a large 200 pound max capacity. Ideal for counting fairly large items, shipping or receiving verifications, inventory or production control, powerful and flexible std. RS232 data link, heavy duty cast construction. 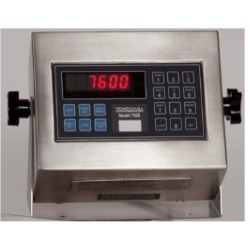 Pennsylvania 7600E Digital Weight MeterAn economical choice in material handling and shipping and receiving applications, the Pennsylvania 7600E digital weight readout is a practical indicator for floor and bench scales. Stainless Steel enclosure. NTEP Approved.